!! 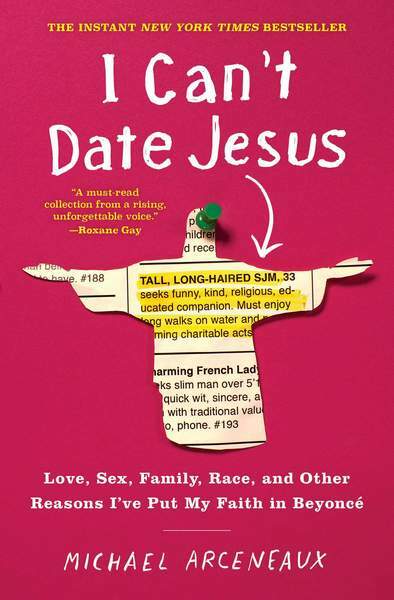 OMG Book Club: ‘I Can’t Date Jesus’ by Michael Arceneaux !! And we’re off and running with the first essay in Michael Arceneaux‘s moving and funny collection I Can’t Date Jesus. If you’re a fan of David Sedaris, you’ll love Arceneaux’s humor, and we’re pretty sure you’ll learn something as you read story after story from his black, queer Texan perspective. Arceneaux eloquently writes about coming out to his mother; growing up in Houston, Texas; being approached for the priesthood; his obstacles in embracing intimacy that occasionally led to unfortunate fights with fire ants and maybe fleas; and the persistent challenges of young people who feel marginalized and denied the chance to pursue their dreams. Buy the book and let us know how you like it! Be the first to comment on "OMG Book Club: ‘I Can’t Date Jesus’ by Michael Arceneaux"